A beautiful spiral bound Photobooth Scrapbook that can be filled with photos from your big party. 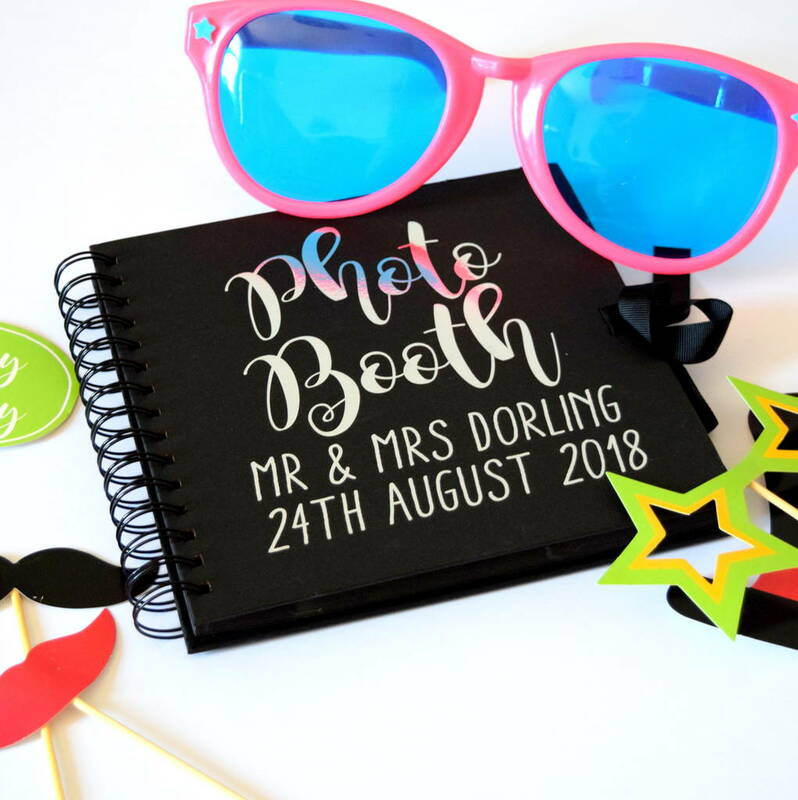 This personalised Photo booth guest book or photo album is the perfect place for guests of your wedding, birthday party, engagement party, anniversary party or retirement party to stick their funny photo's and to leave message for the party thrower. The personalised photobooth album can be filled with all your guests photos and can be ued to be looked back on in years to come to see who shared your big event with you. The 12x12inch book is the perfect size to stick photo booth photos and ask guest to write a message. Whether it be an 18th birthday, 21sy birthday, 30th birthday, 40th, birthday, 50th, birthday, 60th birthday, 65th birthday, 70th birthday, 80th, birthday, 90th birthday, 100th birthday or Wedding this book is the perfect place to write down special memories and photographs that can be looked back on by the recipient for years to come. The personalised photobooth memory book can be printed the names and age of your choice in copper or silver print. Hard back, spiral bound book wtih 40 plain pages.